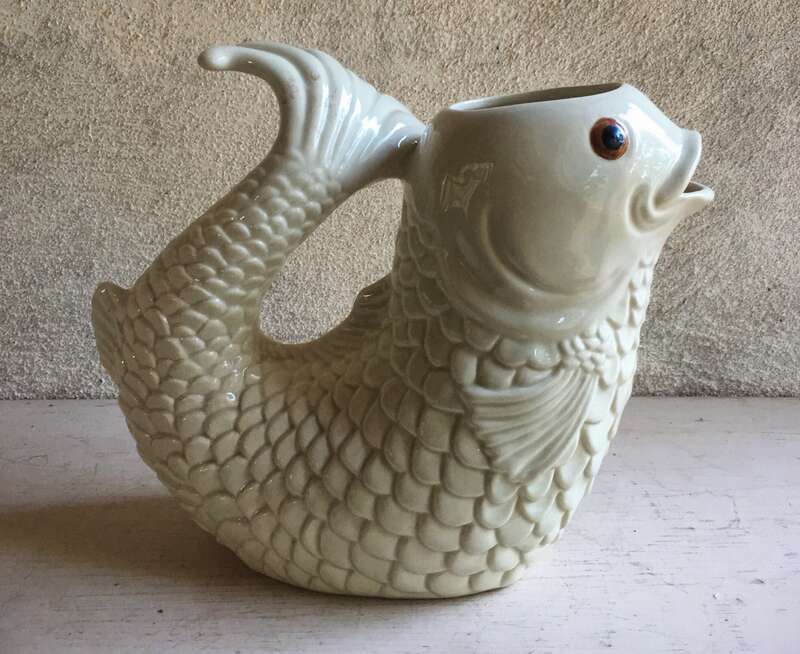 A charming fish-shaped pitcher from the 1970s and the Ceramica de Cuernavaca factory in Mexico, which would have been part of a large serving set. 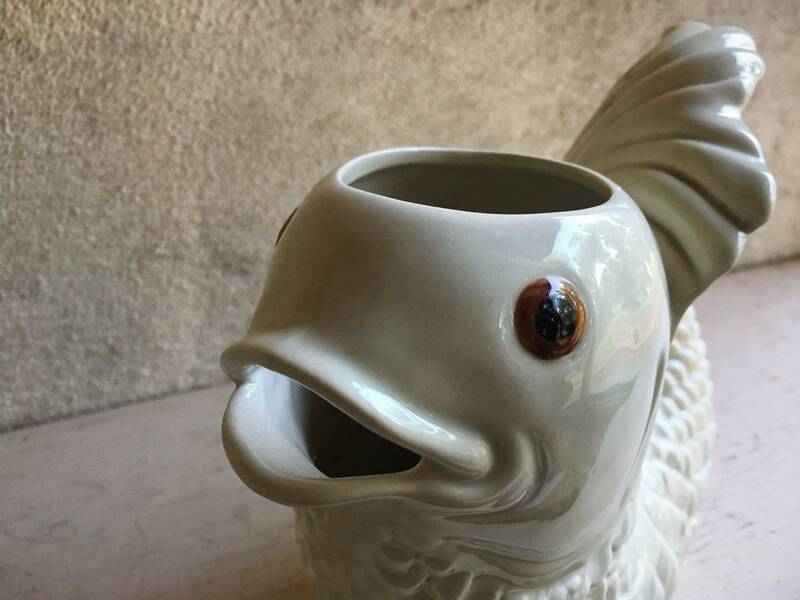 These pieces are not only charming; they're well made and detailed, with eyes that look almost like yellow glass eyes. 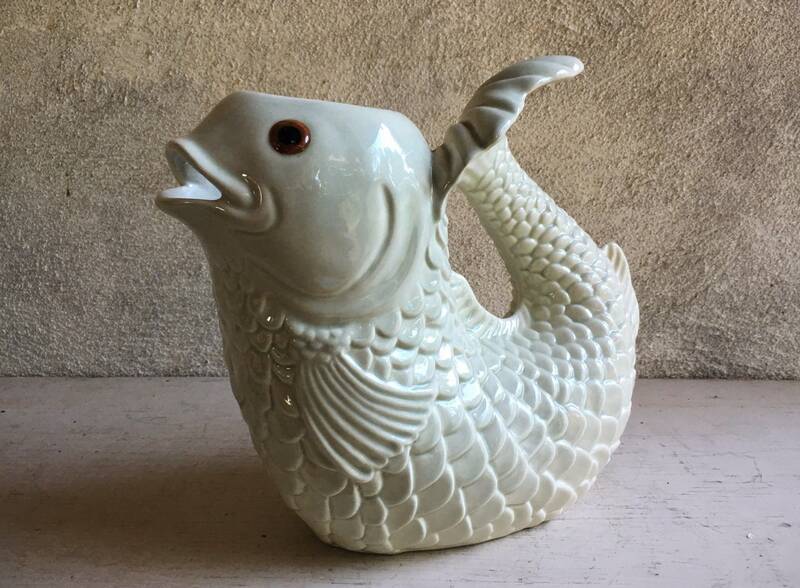 What a unique and almost rare treat to find this pitcher. Mexico is, of course, well known for pottery, yet this particular style and locale is one of the least well known types of Mexican pottery. 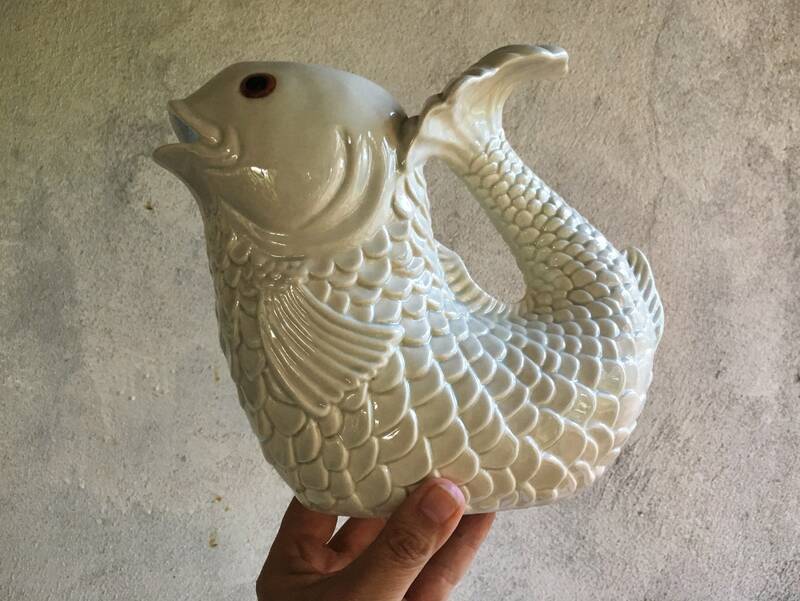 Yet it has a tradition of porcelain pottery that is unlike the redware style found in many other parts of the country. 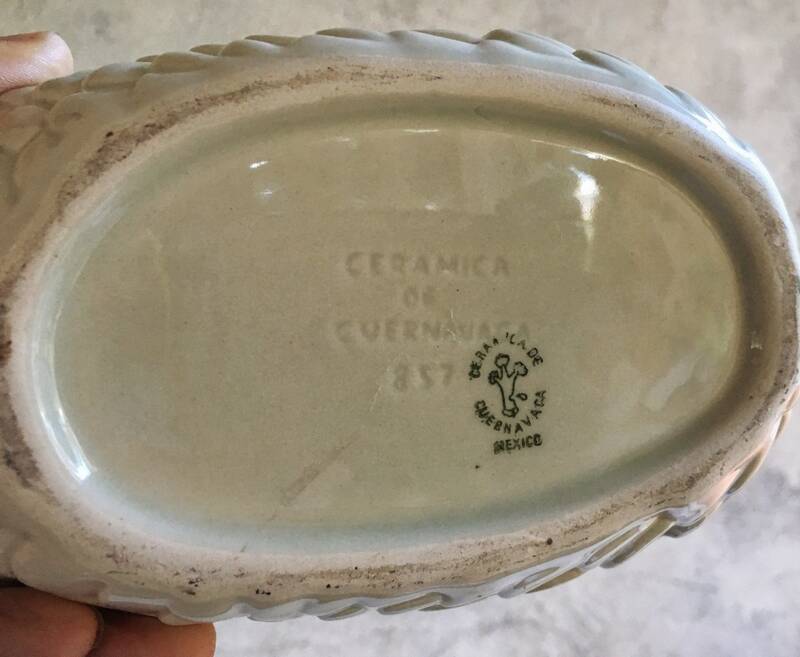 Even the stamp is different from most pottery making in Mexico. 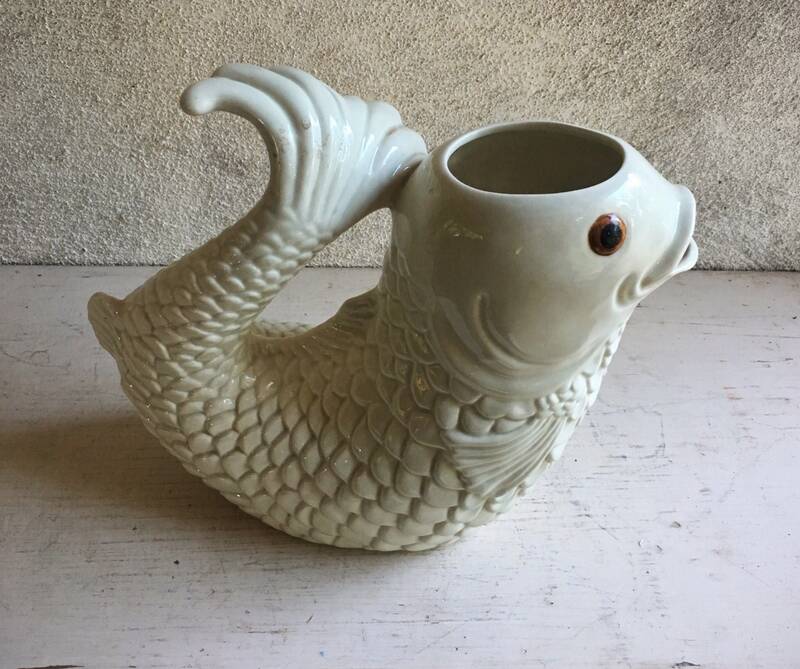 Measures about 9-1/2" across by 8" tall and about 3-3/4" deep. 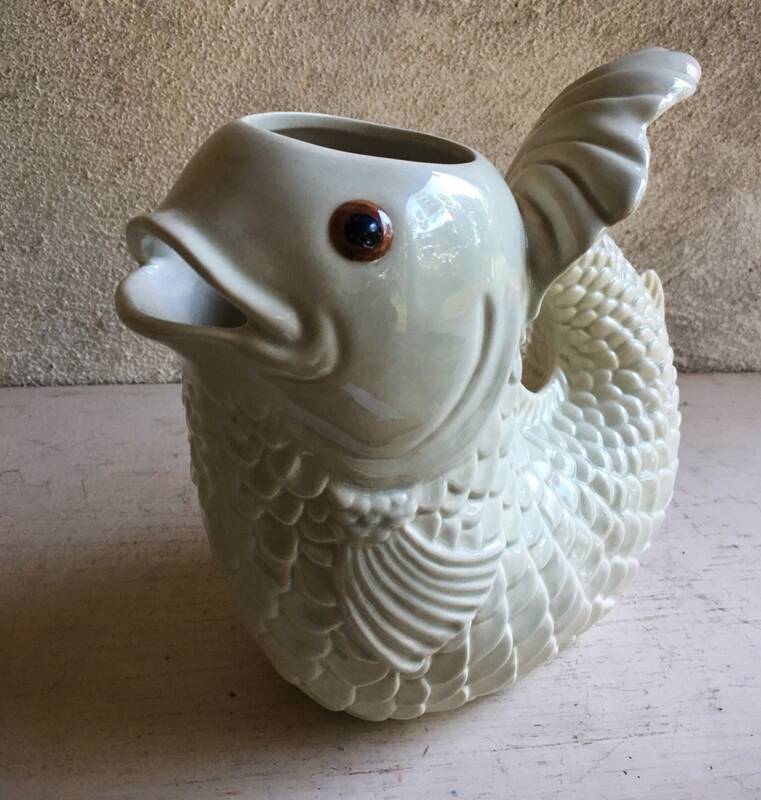 This pitcher has an opening at the fish's head and another at the mouth for pouring. No chips or cracks, although a spot or two--very small-where you can feel roughness at the edges. In good vintage condition.